A red color is a bold color that can give a powerful energy for us. 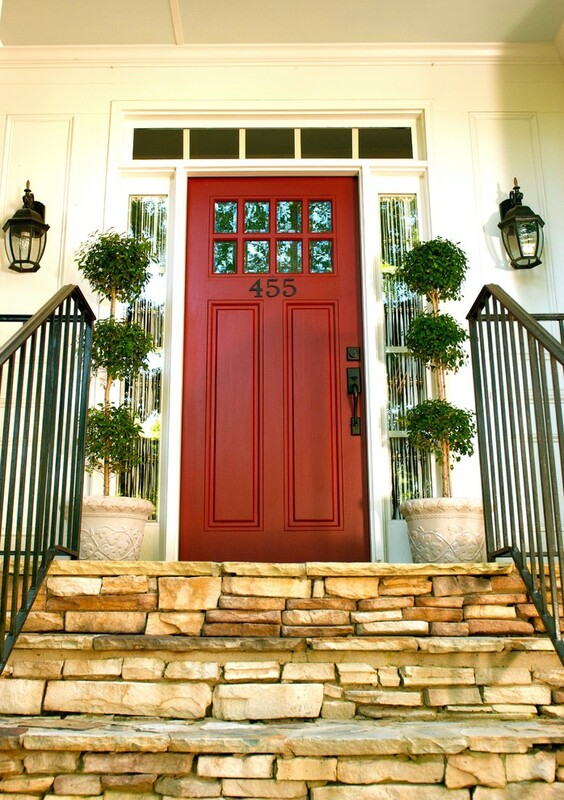 When you have a neutral colored home, you can add a red door that can brighten up your home. The red door can become an entryway door or a room door. 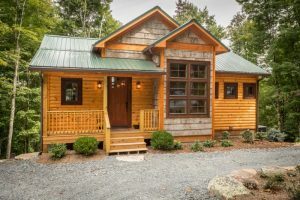 Before getting the red door, you should consider the home design and style so that you will find the right door design for your home. 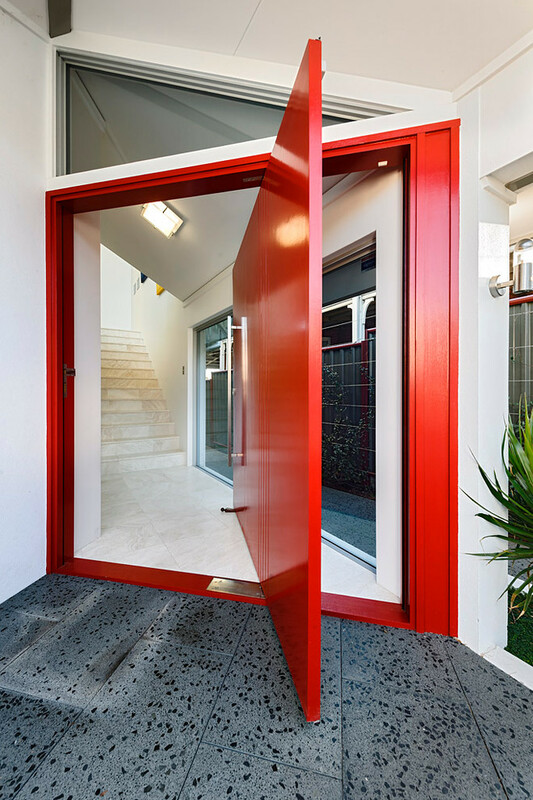 Although red color is suitable for both classic and modern door, you can get a unique red door that will mesmerize everyone who looks and pass the door. The following are some stylish red door design that will inspire you to give your home a bold and stylish door. 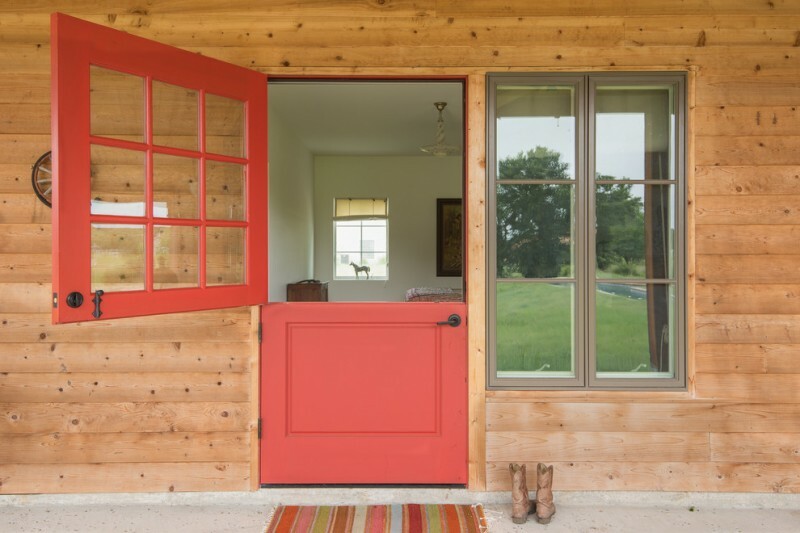 A Dutch door entry has been a popular door for good reason. This red door has a nice arched top, bright red color, and some glasses on the door. 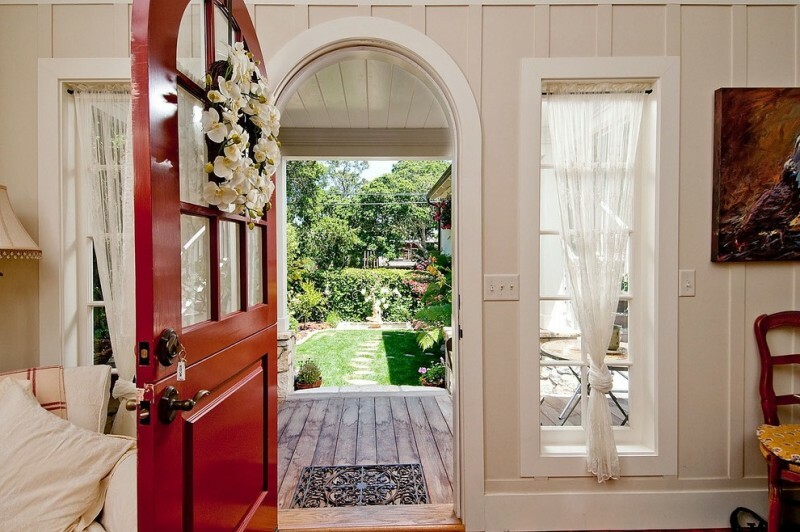 A red door will give you a welcome vibe and character to a house. 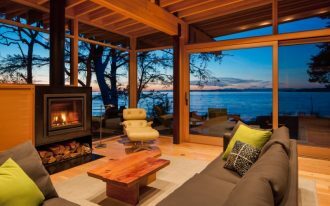 The doors in this home are simple wood veneer flush doors with a high gloss red paint finish. The Lugano hardware looks handsome in these doors. 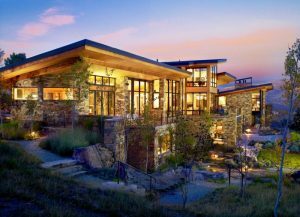 The style of the door really suitable for a contemporary home. 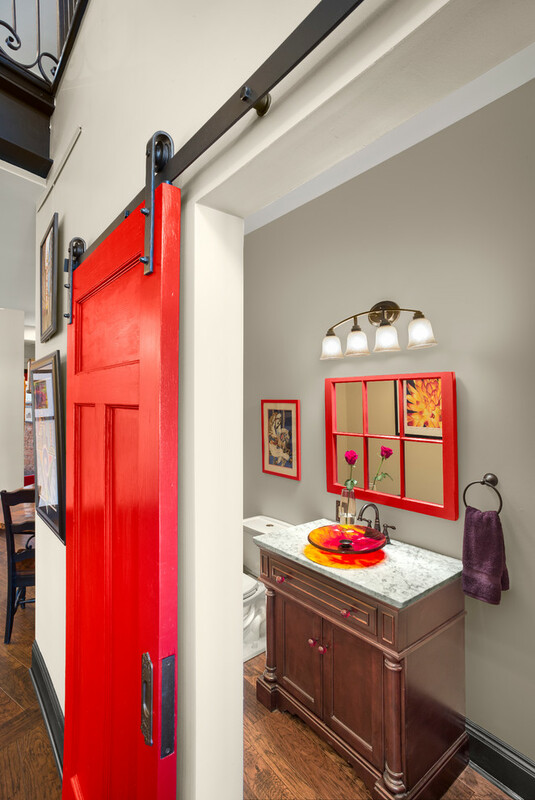 This bathroom provides a sliding door in the bright red color with black hardware. It is really suitable for the bathroom that has some red accents. 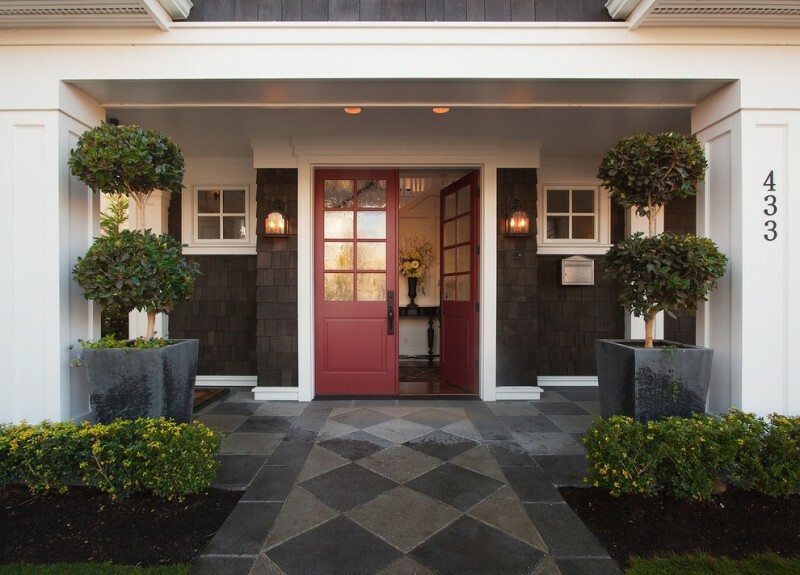 Black walls and red doors make for an exterior with the classic paint palette. The red doors with glasses show the warmth and welcoming message. The white trims make the black not too scary. 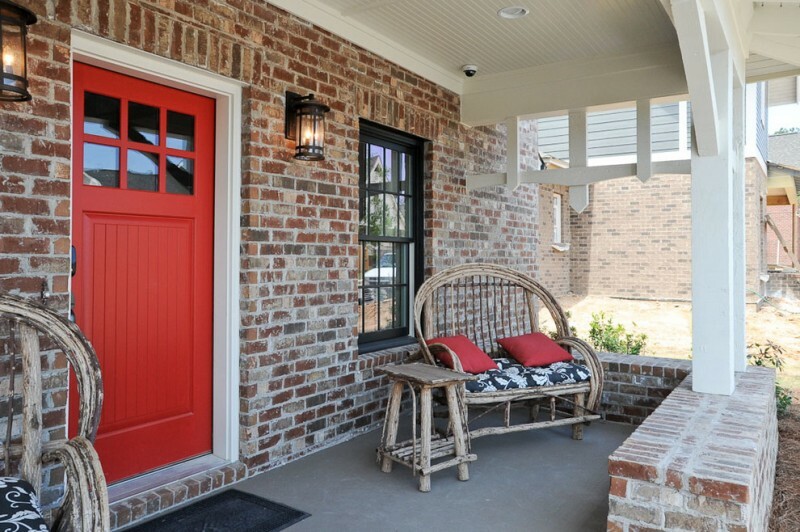 Unique wood trim, rustic furniture pieces, and a bright red door can offer amazing curb appeal to a traditional home. 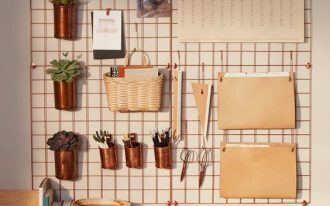 Your guests will definitely be interested before they even enter the red door. This home has a pop red door, the glass side windows, two black wall sconces, and fun numbers on the door that will make a pretty and neat look. 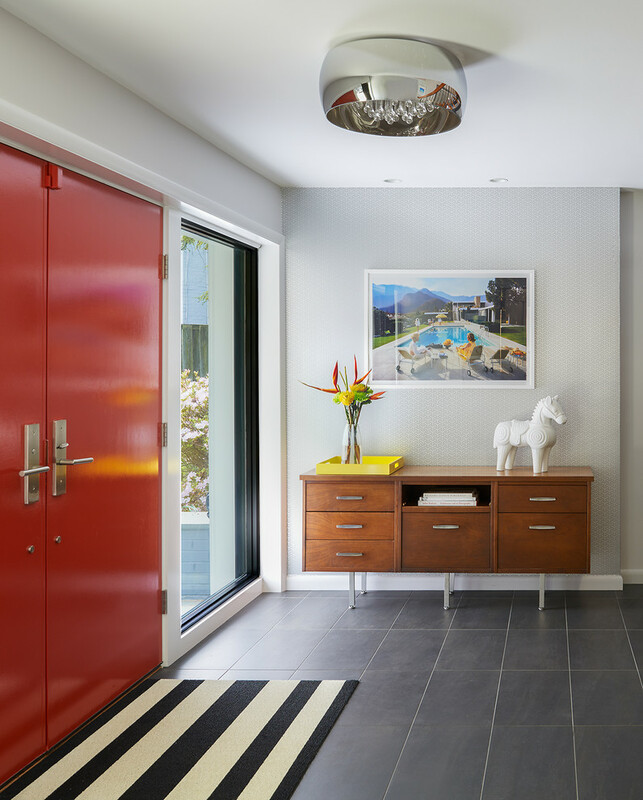 This single front door has a minimalist design and red color that suit with the white walls and ceiling in this home. You can put a nice red patterned area rug near the door and an artwork on the wall that will decorate the entryway. 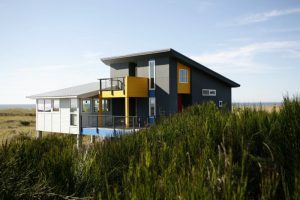 A modern home will be more gorgeous if a pivot front door is added. The unique red door designs can make a good first impression. 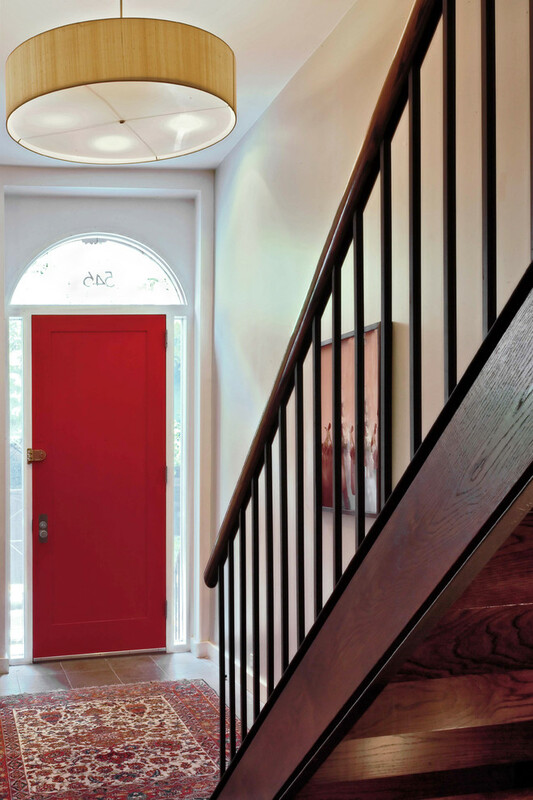 This red oversized door makes an immediate impression and shows the architectural door. This red door is really unique and has good access. The top side and low side can be opened separately. 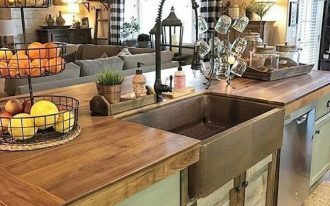 The glass top can add more light to the room. 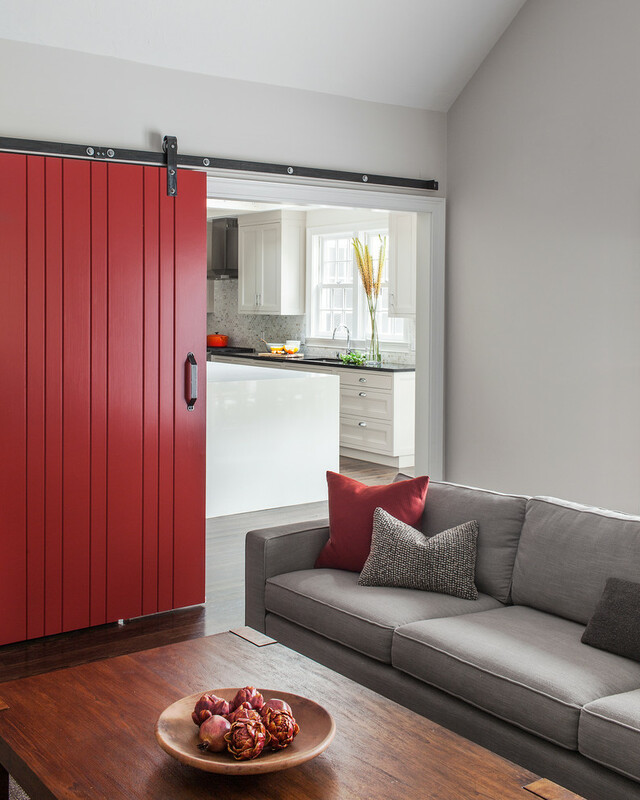 This red sliding door separates the living room and the kitchen. 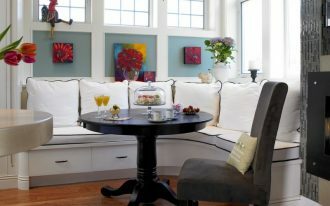 The red door and red pillow warm up the cool grey sofa and walls. 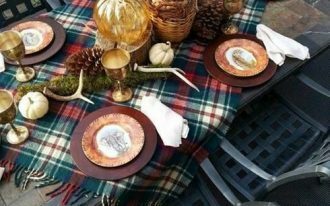 Welcoming Fall Season in Your Dining Room!